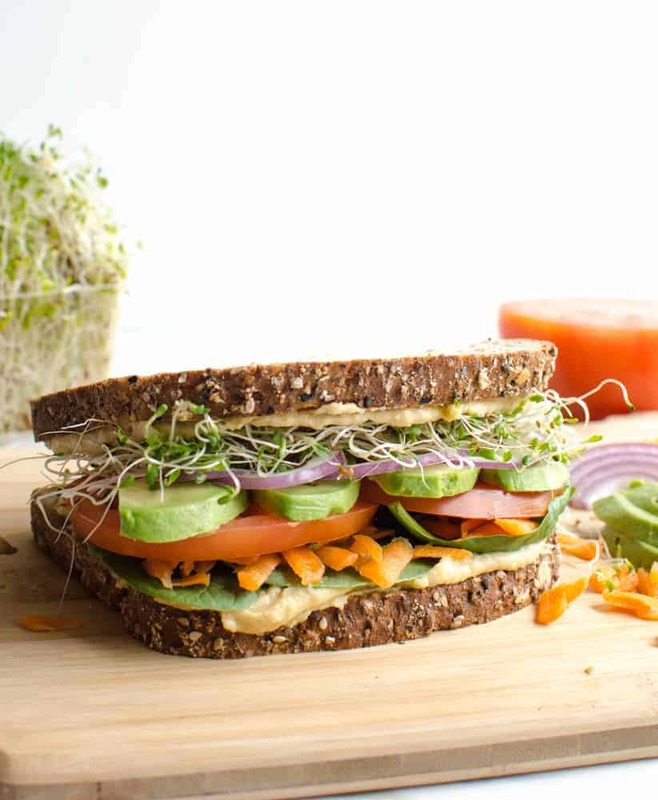 The ultimate hummus and veggie sandwich piled high with veggies and sprout, loaded with creamy hummus, and held together with sturdy whole grain bread. Meatless sandwiches never looked so good! Few things are more delicious than a perfectly executed sandwich. With summer around the corner and today being National Hummus Day I thought a veggie hummus sandwich would be the perfect way to celebrate. I often go to a restaurant and buy a delicious sandwich and I always roll my eyes a little at myself when I do because it’s just a simple sandwich. But simple sandwiches are so very good! I think the difference between a sandwich you make at your house and the one you might order at a restaurant are the creative/fun/delicious extras and the number of ingredients the restaurant uses compared to what you might make at home. I’m guilty of making a million ham or turkey sandwiches on bread with some mayo, a leaf of lettuce, and if I’m really on top of it, a slice of tomato. While that tastes fines it just isn’t a “restaurant-style” sandwich. I’m not reinventing the wheel on this post, I’m just here to inspire you a little to get out of your own sandwich making rut and try this beauty. 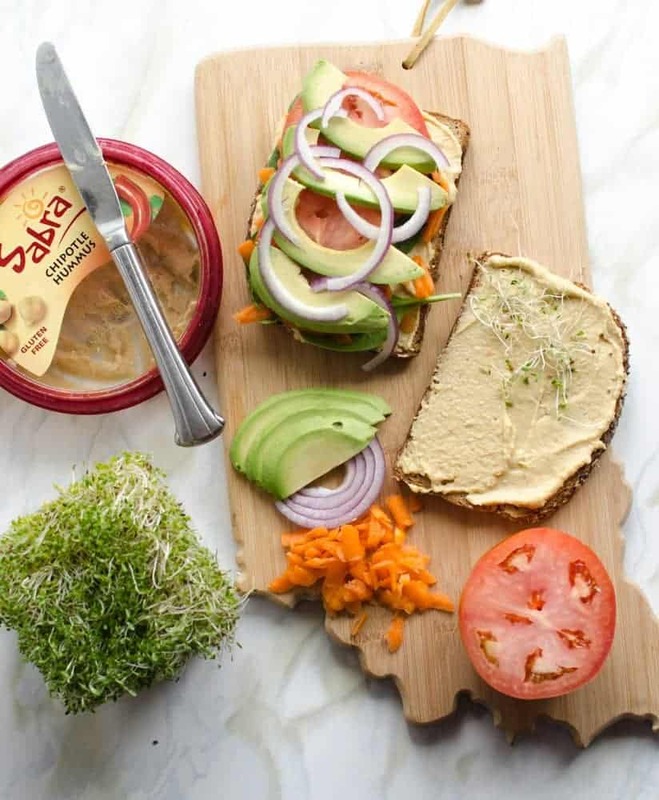 The key for making this restaurant-worthy sandwich at home is using Sabra hummus to add a big old flavor boost as well as a big variety of vegetables too. You are going to love this! Plus, you can’t go wrong with eating a pile of vegetables in the middle of the day. Prepare all your ingredients. You can toast the bread if you like in a toaster or leave it untoasted. Add a thick layer of hummus to the inside all each piece of bread. On two pieces of bread add a thin layer of fresh spinach leaves. 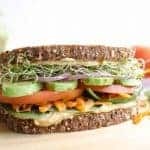 Top with grated carrot, then tomato slices, add some salt and pepper to the tomato slices, then add avocado, then red onion, then alfalfa sprouts. Add the second piece of bread, hummus side down. Slice in half and serve right away. I loved Sabra Chipotle Hummus on this for a zippy little kick and my husband preferred the traditional hummus. I think just about any flavor of Sabra hummus would be delicious including the roasted garlic. 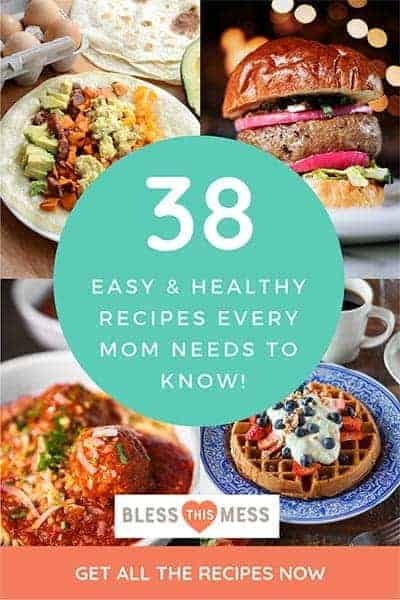 So much to love, so many meatless meals to try! 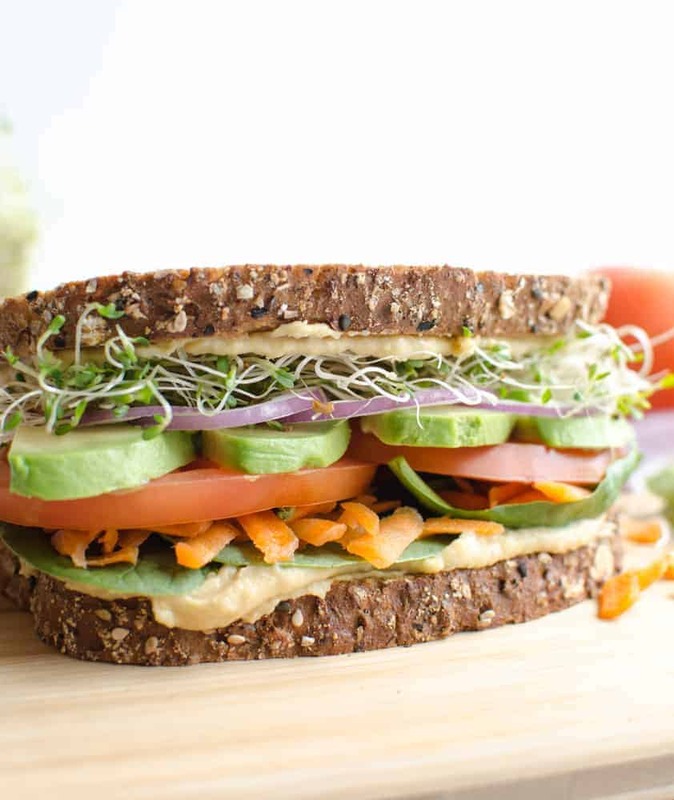 This simple hummus and veggie sandwich is going to be one that you make over and over again! First, love the Indiana cutting board. Second, I’ve never thought about putting hummus on a sandwich…it just makes perfect delicious sense! Thanks for opening my eyes yet again to another amazing idea. 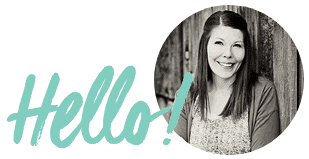 I did it…..bought some Sabra pine nut hummus. Forgot the chips…grrrr…may have to try a sandwich instead! I better get the sprouts growing cuz that makes it sound super yummy!